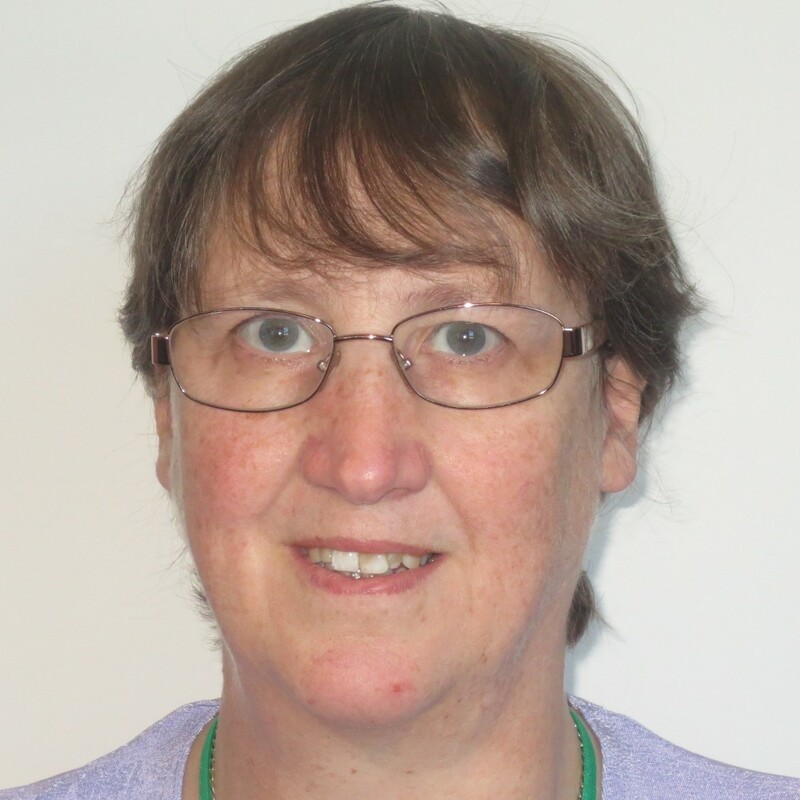 experienced trainer for IT packages. There are several steps involved. The first is selecting the style you need to use for your citations (defined by whoever you are presenting your document to). Next you must enter details of the books, journals etc that you are going to refer to. 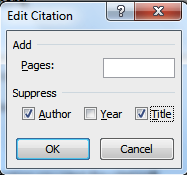 Once you have done that you can then automatically place a citation into your text by selecting it from a list. On the References ribbon, in the Citations and Bibliography section look at the list under Style and select the relevant one. Note that if there is more than one author you MUST click at the right of author. Repeat for the second author and any others. The authors must be listed in the same order as they are on the book/journal so if you put them in the wrong order use the up or down buttons to move them into the correct order. In this case you must define the page(s) the quote came from in the book. 5.3 Where you are putting several citations in the same place. This is a little complex as if you enter citations in the usual way each separate citation will have brackets around it, whereas the normal expectation is that you have a list of citations all contained in the same brackets. You will need to alter the field code of the first citation to do this, and the process is explained below. 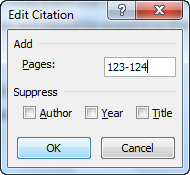 Each citation has a “Tag name”. If you edit the source you will see it at the bottom left. It is normally made up from the first three letters of the first Author’s surname, followed by the last two digits of the date. The one shown below is for Pickwick Papers, written by Dickens and published in 1837. Note that the Tag name is case sensitive. For example, when you use the one shown below you must have a capital D. You need the Tag Name in order to add a citation to an existing one. Click in the first citation e.g. 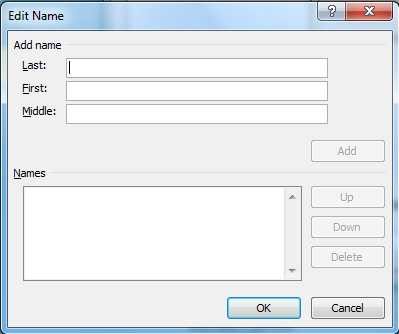 You will now see a dialogue box showing something similar to that shown below. Note that it is the text in the white box that concerns us. \s “ “ places whatever is in the quote marks as a suffix, after the citation e.g. \s “in press” after Gol98 would produce (Goldberg, 1998 in press) and \s “…” would produce (Goldberg, 1998…) which is useful if you have more than 7 citations in one place as in that case you may be expected to do the first 6, then … followed by the last citation. The \m switch is missing or in the wrong place. It must exist before each tag name other than the first. Click the citation and you will see a box appear round it as shown below. Note: Sources are saved in two places, the Master List which is available for all documents, and the Current List which is available for this document only. You can choose to delete from either. 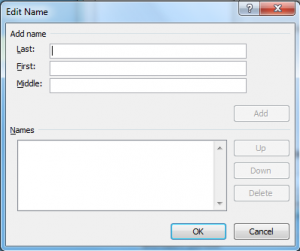 If it is a book you may use in another document, leave it in the Master List but delete it from the Current List. If you will never use the book delete from both. Remember to do this just before you print your document!